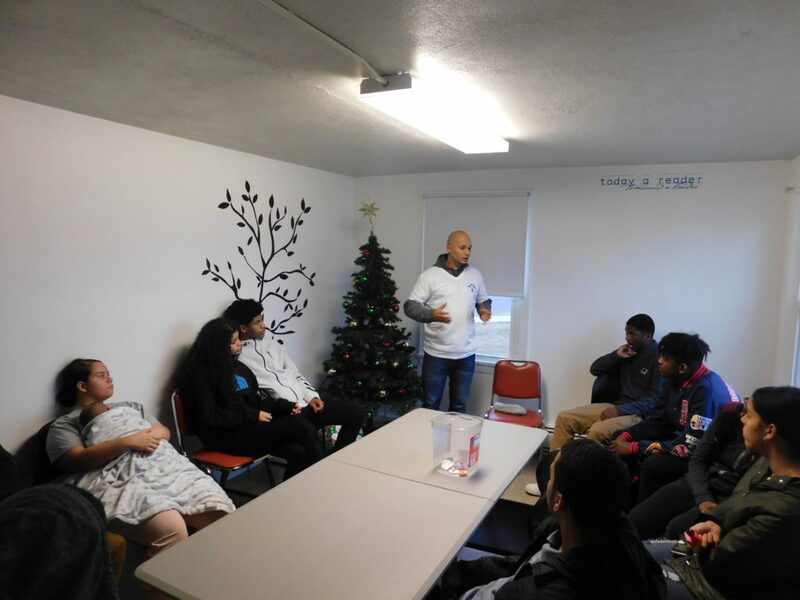 An entrepreneur down to his soul, local businessman David J. Smith II shared his secrets recently with teens from the Robinson Gardens Youth Group. Smith shared the story of his childhood and youth in Springfield, his drive to do well in school even has he developed solid friendships, his quest for higher education and finally, his deep dive into two local businesses that have brought him success and respect. And he was once just like they are now, he pointed out. “What you do today – your friends, your peers are going to remember,” said Smith, now 37 and owner of Big Daddy’s Ice Cream and Professional Meats of New England, both located at 955 Boston Road. Local businessman David J. Smith II offers inspiration and advice to the Robinson Gardens Youth Group. Sixteen-year-old Keishla Caldero said she got a lot out of Smith’s talk. 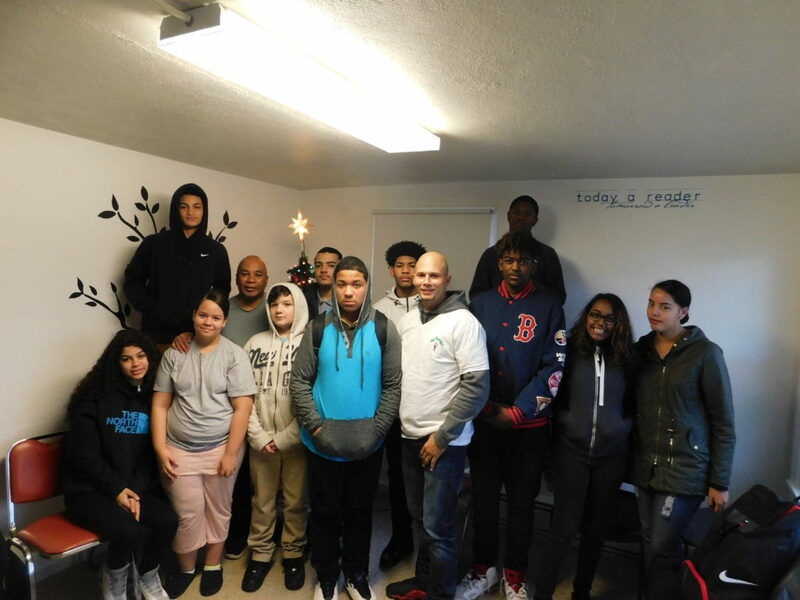 Smith spent an afternoon at the Springfield Housing Authority development in the Pine Point section of the city, as part of the youth program there that aims to guide teens through their middle and high school years. Teens meet every weekday afternoon with SHA Youth Engagement Coordinator Jimmie Mitchell for discussions, programs and field trips. On Monday afternoons, the program often includes a guest speaker, frequently a local resident doing good things professionally, personally, or in the community. Smith’s talk gave the youth pause to think about their futures, and how their own attitudes and actions now will shape what happens next, and beyond. 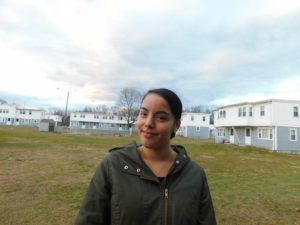 “He was really good, very interesting and makes you think,” said Keishla Caldero, who is 16 and a junior at Central High School. “He makes you think about what you’re going to do with your life, and how you can do things now that will make a difference later. He totally inspired us,” she said. SHA Youth Engagement Coordinator Jimmie Mitchell with Big Daddy’s Ice Cream owner David J. Smith II. Smith’s story is a blend of an energetic personality, a desire do to better for himself, and a willingness to take risks, if carefully. 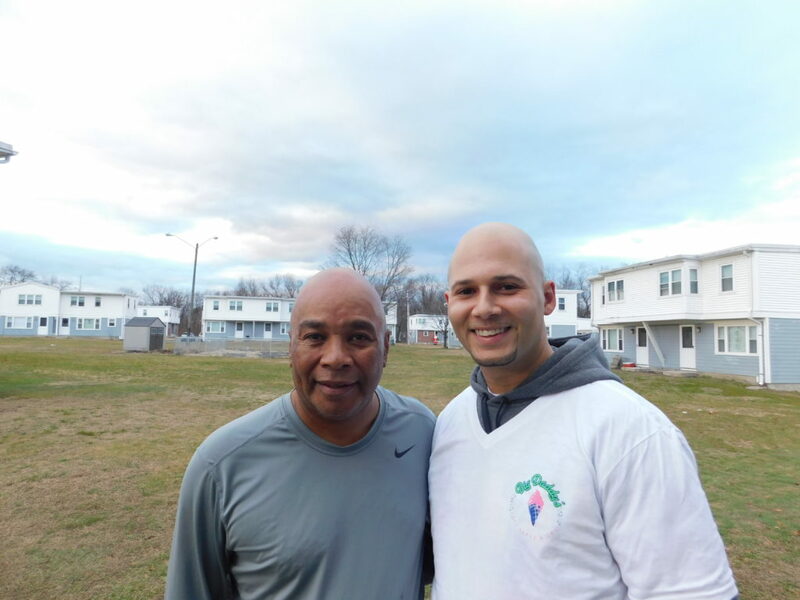 After graduating from Central in 1999, he began studying at Elms College in Chicopee, where he earned a bachelor’s degree in psychology and business. He recently earned a master’s degree in business administration from the University of Massachusetts. He began his meat wholesale business after that, making nine-hour drives to a distributor for hormone-, GMO- and gluten-free meats that he would sell in Springfield. As he began to make money, the business grew, and the distributor began delivering the product here. Four years ago, he launched into the ice cream business after being offered the opportunity by a business acquaintance. “I took a chance,” he said, noting that he relied on a summer job he had as a teenager when he served ice cream at Friendly’s. “I knew something about ice cream from that job, but more than anything I believed in myself. I know that it’s okay if I fall down, because I’m going to get back up,” he said. Both Smith’s wholesale meat business and the ice cream shop are doing well. At Big Daddy’s, where he invited Youth Group members to visit, customers can choose from among 30 flavors of ice cream, or milk shakes, or yogurt, or hot dogs. The take-out windows frequently have lines, especially during summer months. Smith turned his own life story into advice for the teens at Robinson Gardens. 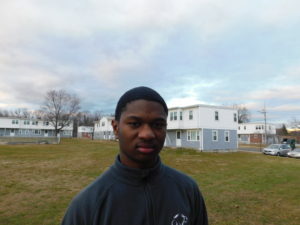 Kashawn Lenoir, 16, said the talk made him think about saving his money. Youth took the advice to heart. 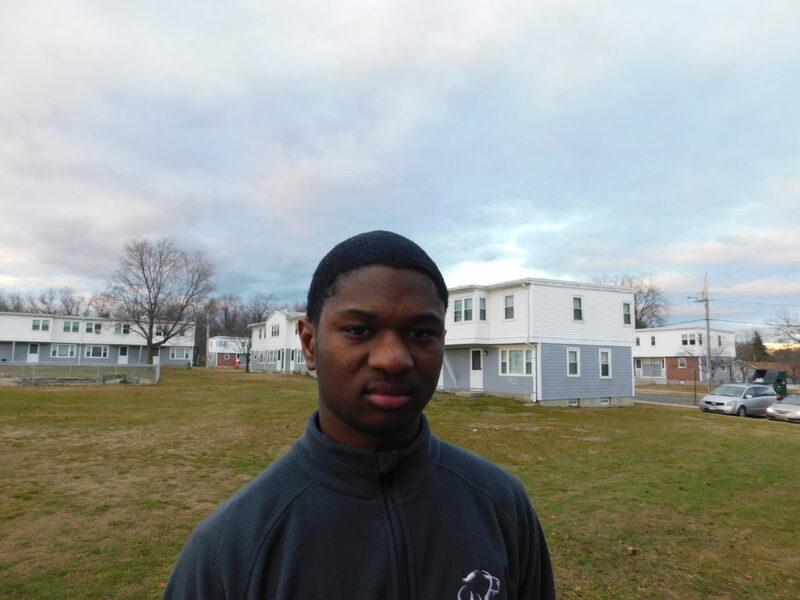 “He was really good,” said Kashawn Lenoir, 16 and a student at the High School of Science and Technology. “I liked how he explained how he got started on his businesses. I liked how he told us to save our money instead of buying sneakers. He just made a lot of sense,” Lenoir said. Mitchell said he has known Smith since his high school years. Mitchell, a retired dean at Roger L. Putnam Vocational Technical Academy, ran his own ice cream business in summer years and got to know Smith when he was scooping for Friendly’s. Mitchell asked Smith to speak with the Youth Group as part of a series of local guests who explain to the teens how they made success stories of their lives. “I want our youth to see and understand that they can do anything they want – start business, go to college, whatever they want. I want them to see people who have done that for themselves,” he said.